Punch card: $160/20 visits. Never expires. 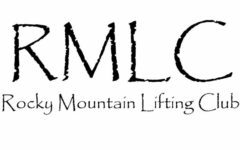 We want you to be comfortable with RMLC as your choice for Strength Training. If you purchase a day pass and decide you want to join for a month, we will apply your day pass toward a membership. If you join for one month and decide you want to pay for a year, we will apply your one month toward a yearly membership. Since we have an access code we have moved to subscriptions for our monthly and yearly memberships. Subscribe to your monthly or yearly membership below. It is the responsibility of each member to unsubscribe if/when the time is needed. Fill out your Waiver of Liability. Purchase a coaching package below (this includes a monthly membership).